This will give you answers to some of the questions that arise most often. Q: If I am injured on the job, do I have to fill out an accident report? A: Most union rules require that an accident report be completed if you are injured on the job. The responsibility for filling out the report varies from craft to craft and railroad to railroad. Don't let the claim agent, or your foreman or any other railroad representative, put words in your mouth. If you are required to fill out the report, you should immediately contact your union representative and request assistance. This is your first opportunity to state why the railroad caused your injury. Always ask yourself, what could the railroad have done to have prevented me from being injured? Could the work place have been safer? Were the tools furnished me sufficient to do the job? Did I have adequate help? Was I provided adequate training and supervision for the job I was required to do? Put down the unsafe condition or defective equipment involved on the accident report. Q: Do I have to be treated by the company doctor? A: No. The railroad wants you to go to its doctor because he reports to the railroad's lawyers and claims department. Then, the railroad, through its doctor, could decide how serious your injuries are and when you're able to return to work. You can and should go to the doctor of your choice to receive an unbiased, unprejudiced medical opinion and treatment. The railroad can require that you be examined by its doctor but it can't force you to receive treatment from their doctor. 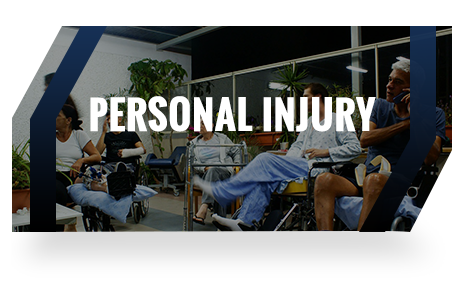 You have the right to select a doctor of your choice for treatment of your injuries. Q: The railroad claim agent seems sincere. Why shouldn't I go along with him? A: Always remember that the claim agent has one responsibility — and that is to save the railroad as much money as possible. With you, he will be sympathetic and understanding, telling you that he's looking out for you. Remember, however, his allegiance is to his employer - the railroad - not you. He is paid to protect the interest of the railroad. He is an experienced negotiator and investigator who has the legal staff of the railroad on call. While you are relying on his sincerity, he may be out conducting an investigation, taking crucial photographs and statements from witnesses to try to defeat your claim. Q: The claim agent wants me to make a statement about the accident. I know what happened, so why shouldn't I? ​A: You should never make an oral (recorded or not) or written statement to a claim agent or any other representative of the railroad without first talking to an attorney. The claim agent knows that you have been involved in an accident and probably has seen the accident report and knows what happened. Why then would he need a statement? If, in the process of giving a statement, you say something that indicates the railroad was free of fault or the accident was your own fault, the value of your case will decrease significantly. Can you afford to take that chance? Giving a statement will not help your claim and will only be used against you later. Q: The claim agent says I don't need a lawyer, the railroad will be fair to me. Do I really need to get a lawyer? A: Think of it this way: The whole time the claim agent is trying to talk you out of getting a lawyer, the railroad's lawyers have the opportunity to look into your injury and how it occurred. The railroad's lawyers are experts in these cases. Are you? If not, you need an expert on your side - your experienced FELA attorney such as those in the Moody Law Firm, Inc. can guide you in the right direction. Q: Claim agent has mentioned to me how hard jobs are to find these days, especially with the railroads’ mergers and layoffs. Will I lose my job if I get a lawyer to represent me? A: The FELA not only prohibits that, it makes it a crime for anyone to threaten you or to take action against you for getting a lawyer to help you with your case. It is punishable by a fine of up to $1,000 or a jail sentence of up to a year or both. Q: If I get a lawyer, won't I have to split the money I receive with my lawyer? A: You'll have to pay your lawyer's fee, of course, but the Moody Law Firm, Inc. charges fees approved by your union. The railroad company and its claim agents know this; that's why they try to talk you out of getting a lawyer, even though they are consulting their lawyers every step of the way. Q: If I hire an attorney, will they have to sue the railroad? A: Not necessarily, most cases are settled without a law suit ever being filed. Q: If suit is necessary, where would the suit be filed? A: Your attorney will select the location where your suit should be filed, based on several factors, all of which relate to insuring the best possible result for your case. Q: How long do I have after an injury to file suit against the railroad? A: You, or your family, in the event of your death, have three years from the date of the accident, or, if the accident is one where you don't know right away that you're injured, such as exposure to chemicals, three years from the time you have reason to know that you are injured. If your accident was caused in part by the negligence of someone or some company other than the railroad (for example, the manufacturer of a machine or piece of equipment), you may have to file suit within one year to preserve your claim. You should always consult with an experienced FELA attorney to see if you have a claim against another party. Remember that the railroad will begin to investigate your case and to build its defenses the minute you are injured. Consult with an experienced FELA attorney promptly after your accident. This will give you the same advantage. Q: How do I know how much money I should receive for my injury, or how much my family is entitled to in the event of my death. A: An experienced FELA attorney, such as those in the Moody Law Firm, Inc., can advise you as to what you might expect, but, unless you decide, with your attorney's advice, to settle your case before trial, it will ultimately be up to the jury to decide in court. The money loss which you otherwise would have been entitled to after retirement from the Railroad Retirement Board had you lived your normal life expectancy and retired. Q: What should I do first after being injured? A: To the extent you are able, there are several things you should do right away. You should get the names and addresses of everyone who saw the accident and the names and addresses of every member of your crew or gang. 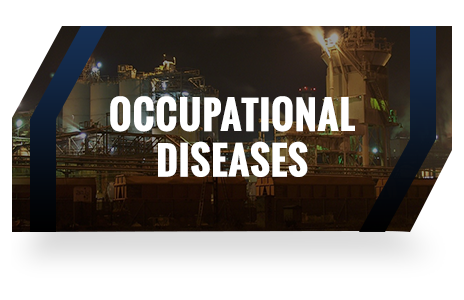 Ask a trusted fellow employee to inspect the equipment or the work place that caused your injury immediately and to make a written notation of the date, time, location, and results of his inspection. Make a note of the engine number or car number of any equipment that was involved in your injury. Report the accident and injury immediately to your supervisor and to your union representative. 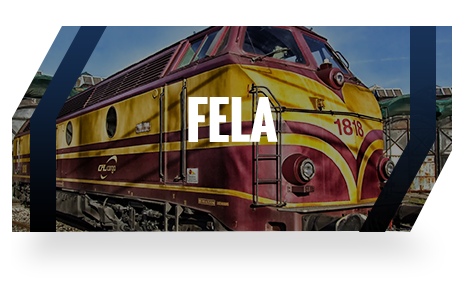 Do not give any statements, written or oral, to the railroad without first consulting with an experienced FELA attorney. Most have toll free telephones. If you are required to fill out an accident report, do not let any representative of the railroad put words in your mouth. 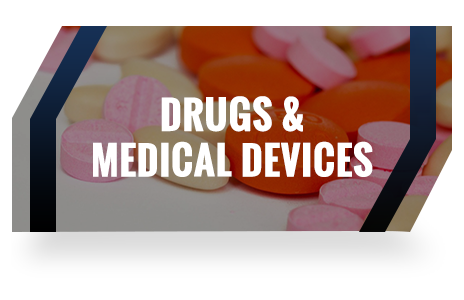 Get advice from your union representative or your experienced FELA attorney. Know your rights. Do not accept the railroad's advice or decision as to how much money you are entitled to receive. Consult an experienced FELA attorney for advice about your rights and obtain assistance in seeing that they're not violated. Q: The railroad claim agent has said, "Give me a chance to settle with you before you get a lawyer." Why shouldn't I give him a chance? If I agree, what am I giving him a chance to do? ​A: ​If you need advice, call the Moody Law Firm, Inc. at 1-800-368-1033. You don't know how long you will be off work or how long it will take to recover from your injury. The longer it takes to get well, the longer time it is going to take to settle, because you certainly should not settle before you know if you will be able to work. If you can't return to work with the railroad, you need to find out how this injury has affected your ability to get another job. In the meantime, while you are giving the claim agent a "chance", the railroad is investigating your accident. The railroad will decide whether they want or need photographs or statements from witnesses. Equipment can be repaired or the scene of an accident can be changed. The evidence is getting cold and, every day that passes, the witnesses' memories grow dimmer. If the railroad chooses not to make photographs, you may be left with no way to adequately show the conditions which caused the injury. What the claim agent is asking for is not a chance to give you a fair settlement, based on the facts and your injuries; but, instead, he is asking for a chance to get a statement from you and then to begin his work designed to lower the amount of compensation which you receive. He will be working closely with as many lawyers and investigators that the railroad wants to put on your case. On the other hand, he asks you to "Give me a chance to settle", unaided by the legal advice to which you are entitled. You should ask yourself, wouldn't it be better for you and your family to "give yourself a chance" and have a lawyer from the Moody Law Firm, Inc. working for your interests, and not those of the railroad?